Brett is playing the iconic Joan Rivers in a world premiere play by Jordan Seavey called CAN WE TALK? at the Flea Theater through December 22! Can We Talk? 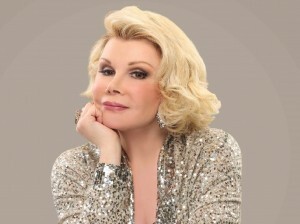 || Joan Rivers returns as a down and out drag queen to convince her daughter Melissa to carry on. Starring Brett Epstein, Rachel Lin, Roslyn Seal & Eric Elizaga. Running time: 1 hour 15 minutes; no intermission. Playing as part of the Flea’s Cutthroat Series: Grand Guginol Duels. TICKETS –> Click here to purchase. PROMO VIDEO –> Click here to watch.